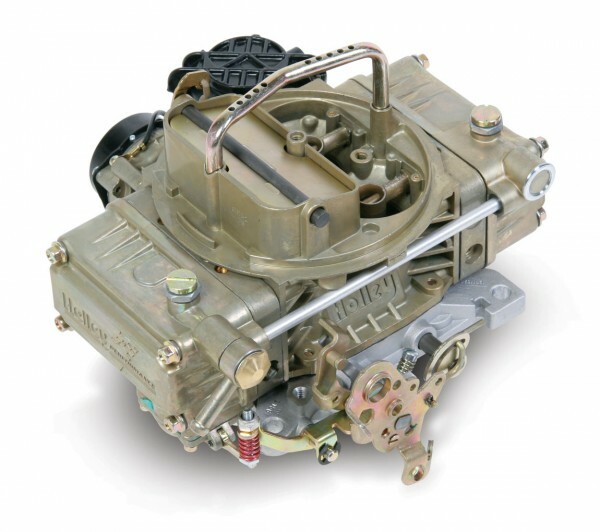 Home ♦ Build ♦ How The F*#% Do You Choose a Carburetor? Have you ever tried to buy an aftermarket carburetor? Its pretty confusing. There are a bunch of brands and while they look similar they are very different. Incredibly different. And I don’t have a clue which design is better. I know it’s like Mercedes vs. BMW or Ford Vs. Chevy but is Holley better than Edelbrock? Or is it the other way around? And what about the others like Quadrajet or Jet Performance? Or is it a model thing? Like the BMW M6 Grand Coupe is better than the E class AMG deal but the E Class is better than a lower model M235? I don’t even know where to start. I’ve read a bunch of stuff on the forums and everyone says something else works better than the other. It almost feels like a personal preference for beer. I’m looking for a new carb for my 1976 International Scout II which currently has an Edelbrock 1407 performer deal on it. It seems like decent carb, but it flows 750 cfm which seems like a lot for my 345 C.I. International engine that revs to like 4,500 – I don’t actually know as it doesn’t have a tach but it doesn’t rev very high. It’s also old and full of sand and a bunch of linkages are missing and rigged up. I was thinking about selling the old one on Craig’s list and buying a new one. Should I buy the same carb? Should I get a Holley? If so which model? Which size? Which options? First off I think I need to figure out the ideal CFM based on the engine. As I mentioned, the Scout is a 345 CI engine, or 5.7 liters for those not used to big american V8’s. 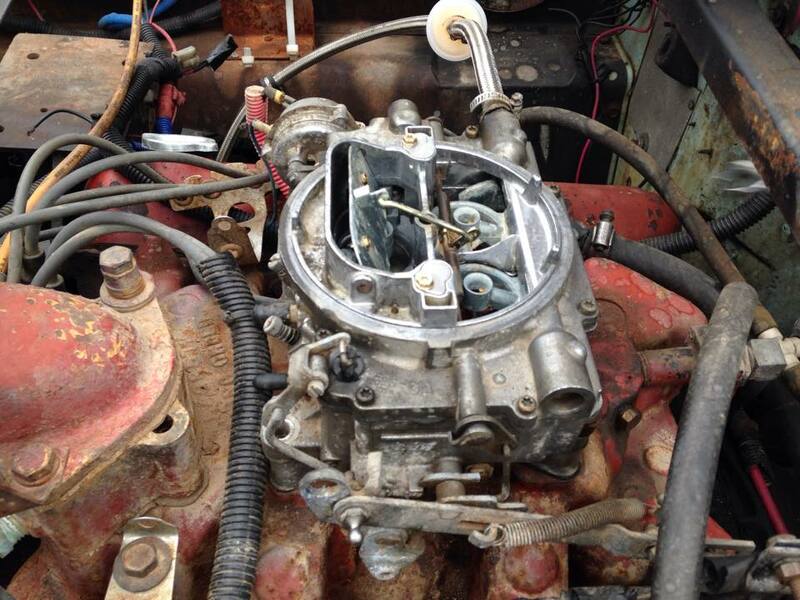 All the forums say the motor doesn’t need a lot of air flow so a 600 or 650 CFM carb might be too much. I dont know what that means. I thought you simply get the jets right for the amount of air being sucked in and what difference does it make if its tuned right? It should self adjust based on the air thru the venturi’s. Or something like that. But maybe its more like a torque wrench. It might measure 25 ft lbs of torque but go all the way up to 200 ft lbs. Its not going to be as accurate at 25 as it is at 100. Its just how they work. So I suppose I should find the one that fits my air flow range the best. I’m thinking 500cfm or less should be good for gas mileage and still make the old truck run pretty fast. First off we have the Eddlebrock 1406. Its pretty straightforward. They have it jetted for fuel economy or performance and then there is the Thunder series with an off-road version. 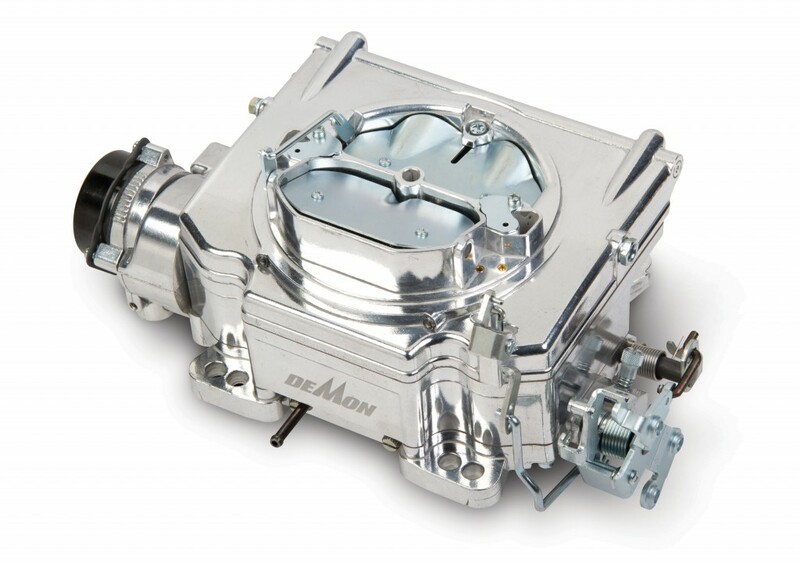 Designed for small-block and small displacement big-block engines, these carbs are recommended only for stock to Performer level applications. They are not recommended for use on RPM or Torker II intake manifolds. 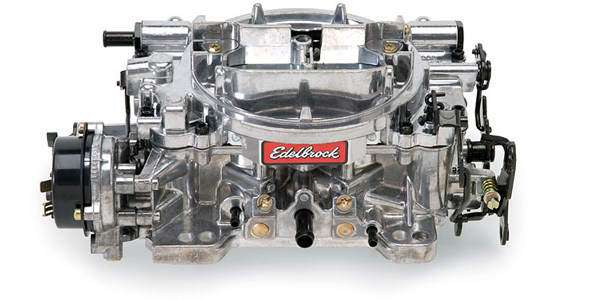 Match with an Edelbrock Performer or Performer EPS manifold or other brands of similar design. Calibrated 2% leaner than #1405. Includes both timed and full vacuum ports for ignition advance. Comes with: Metering Jets – Primary .098, Secondary .095; Metering Rods – .075 x .047; Step-Up Spring – yellow (4″ Hg). There is also a model that comes optimized for off-road. And Im not sure what that even means. Optimized for off-road? I guess it has spring loaded needles and seats? Aren’t the needles in the regular Performer and Thunder series spring loaded? But since its going in an off road vehicle it makes sense to buy one that is “optimized for off-road.” But then I realized I could buy the spring loaded needles and convert my 1407 to “off road” making the special one not that special. But the ability to tune the secondaries seems like a good idea so here’s a look at the Thunder series. Designed and calibrated for optimum off-road performance in small-block and some big-block engines. Match with a variety of manifolds that include Edelbrock Performer, Performer EPS, Performer RPM, RPM Air-Gap or other brands of similar design. Includes spring-loaded needles and seats for superior fuel control in off-road terrain. Includes: Metering Jets – Primary .095, Secondary .098; Metering Rods – .065 x .047; Step-Up Spring – Orange (5″ Hg). It’s hard to tell what the right carb is because you can’t really swap them back to back and dyno the cars. They each need to be tuned. But still, why hasn’t someone fit two similar carbs and expert tuned them and then compared the results? Or are my Google skills lacking? Next up is Holley and I’m not as familiar with their line to be honest. But they have cool names like Avenger and Demon and Dominator! It would appear that the Specialty carburetors is where they have “off road” version with a cross over vent tube that somehow prevents fuel from spilling during “Difficult Maneuvers.” But it also says “This carburetor is designed for extreme off-road, off-angle use. Due to its design, it is not recommended for street driving or towing applications because rich conditions and poor fuel economy will be experienced.” That doesn’t really sound like the carb I’m looking for. Sure it probably works better climbing around difficult terrain but it doesn’t sound that awesome for a vehicle I want to spend two weeks driving through Baja. Rich conditions sounds like they are trying to say you will experience stinky fuel smell. But on the other hand “Extreme Off-Road” does sound like a good idea. It’s also $477 on Summit.com compared to $320 for the Edelbrock Performer series. Is the Holley worth the extra $150? What does it do better if they both have vacuum secondaries and electric choke? 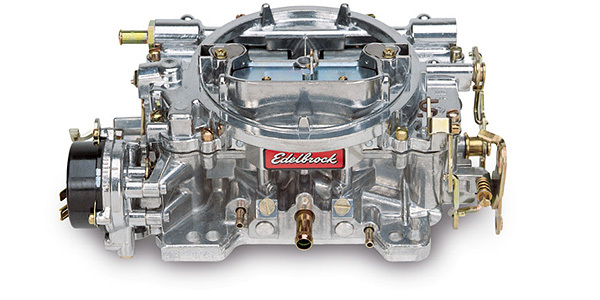 Sure the Holley has spring loaded something or other for off road but so does the Edelbrock Thunder series. Again which is a better choice? Then I came across a Holley Street Demon. It has mechanical secondaries which seems easier to tune. Plus I can keep the thing closed for most throttle positions and instead of the carb being a 625 CFM, its more like 312CFM. I think. I mean it makes logical sense to me. If two plates open and they are about the same size and when they are both open it flows 625 CFM then in theory if only one is open, it should flow 312 CFM. Plus it looks pretty cool and they make one anodized in black too. Here are some the features of the Holley Demon series. It seems pretty good for my application plus its only $312 dollars. That seems about right. I think. Again how am I supposed to know? But when you read through some of the bullet points below it seems like a good idea. And I have a 700 series Torqueflite trans so that last bullet point seems like an added bonus. And small primary bores seems like a good idea too. But how do I know? The design even looks very similar to the Eddlebrock Performer/thunder series but it looks a lot cleaner with less moving parts. Does that mean anything? I don’t know. Maybe its less to break or go out of tune? I swear this is like choosing a beer.